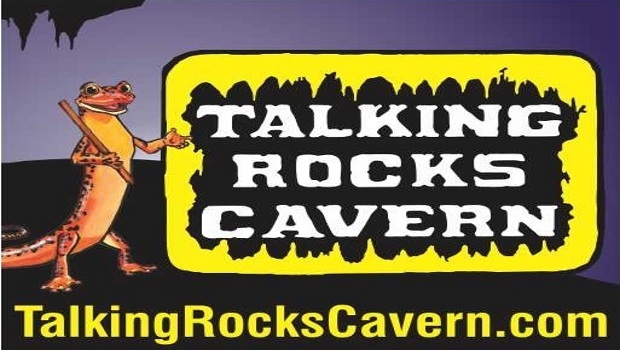 FAMILY FUN at Talking Rocks Cavern! Explore the world underground in "Missouri's Most Beautiful Cave" where fun, knowledgeable guides take you along lighted paths to view amazing crystal formations. Budget friendly Rock/Gift Shop, gemstone mining, and Cave Country Mini-Golf. Enjoy the nature trails, lookout tower, picnic areas and indoor and outdoor SpeleoBox cave crawls, which are free to our guests. $2.00 OFF EACH CAVE ADMISSION - Save $2.00 off each regular price admission. Not vaild with other offers. Valid for up to 10 people!